Alben by Erreà is a short-sleeve sports jersey for men with a classical and elegant design. Specially designed for sports such as football and five-a-side football, it will be your partner in your challenges, races and most difficult matches. 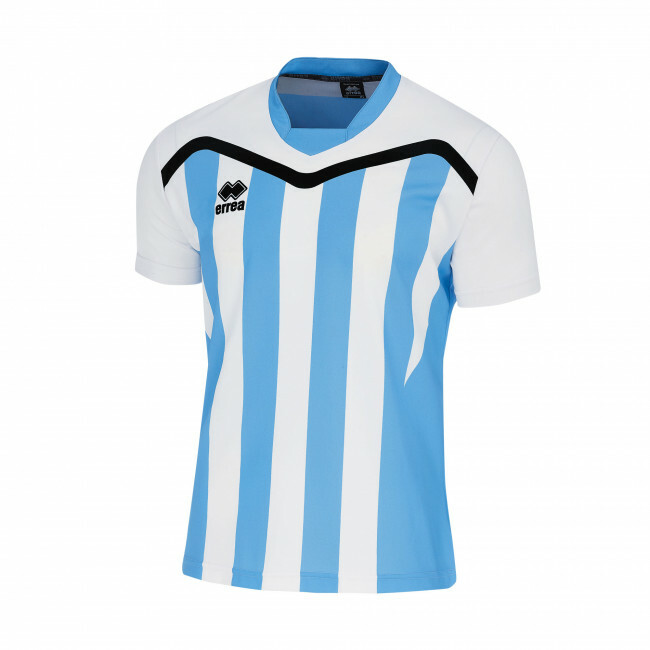 In addition to the vertical stripe design, the Erreà logo on the chest gives this jersey a bolder look. This jersey is lightweight and so practical to wear that its comfortable fit will ease your movements. It is available in 12 different customisable colours to better represent your team's colours (please, refer to our stores for customisations). This sporty jersey has short sleeves and is the perfect match for the New Skin shorts by Erreà. Materials: 100% Skin.